(17) Photos Printable Brochure Apply For Credit Schedule A Test Drive Text Us Now! 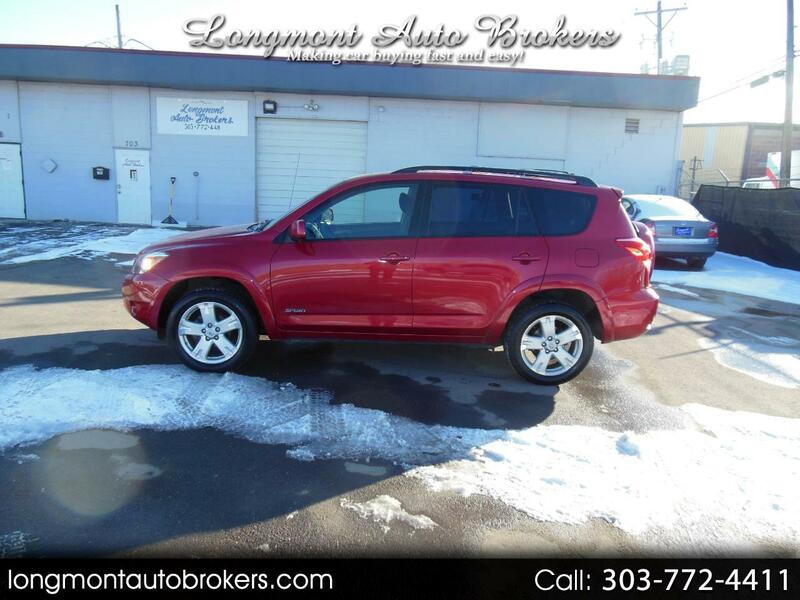 STK# 3617 2007 RAV4 SPORT PKG, VERY NICE CAR, RIDES AND DRIVES GREAT, GOOD SERVICE HISTORY. Call 303-772-4411 to make a appointment to test drive this vehicle. Financing available with approved credit thru local credit unions and CU direct connect, also One Main Financial. visit our website for more info and a full Carfax report link at longmontautobrokers.com. Extended Warranty’s available, from low cost piece of mind short term to 60 month 100000 mile coverage. All vehicles may be subject to a $199.00 Dealer Handling fee.